Q. 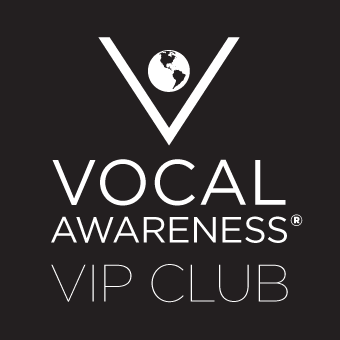 What was your initial attraction to Vocal Awareness, and how did you first learn about Vocal Awareness? A. When I first met Arthur I was an Opera Singer with 20 years of private weekly lessons as a student behind me. I was also a Voice Teacher in my own right, with a Masters of Music degree in Vocal Performance and over a decade of private and collegiate teaching experience. I had just moved to Los Angeles and not only was I not really looking for a teacher but on some level I was actually disillusioned with the whole process of trying to improve my own singing, making myself more “marketable”, and teaching other people to “sing better”. In fact, I had actually started to dismantle my own studio because of a nagging sensation that something was profoundly missing from my teaching and from my own singing. It took me a full year after a chance encounter with Arthur at an LA Opera production and looking at his website before I contacted him. Something about Vocal Awareness as described on the website spoke to me on a subtle level, but I didn’t at all intellectually understand what it was and I remember thinking that if nothing else, Arthur had connections to famous and successful people in the Entertainment Industry. Still what I said to him on the phone was “I think I might want what you have to offer” and even then I knew that I didn’t mean his connections. Q. Do you recall a moment when you felt a shift, or even a break-through because of your Work with Vocal Awareness? A. These are three of the most significant shifts I have experienced because of Vocal Awareness. 1. My singing: I have always been good at compartmentalizing the physical components of Vocal Technique. Through Vocal Awareness a long forgotten core piece of my Self (capital S as Arthur would say) joined my mind and body, enabling me to access emotional depths that I had previously avoided. 2. My teaching: I remember a very specific day when I first embodied the profound love inherent in Vocal Awareness and found what had been missing in both my singing and my teaching: my Soul. 3. My being: Arthur has taught me that personal strengths I had sublimated because people had labeled me “bossy” and “opinioned” as a child, are actually necessary for leadership and when combined with the surrender, love, and gratitude of Vocal Awareness make the extraordinary achievable. A. Ultimately singing has always been my great pleasure and my even greater pain, the pain spiraling from my rampant self judgment and physical tension. Vocal Awareness has benefited me in so many ways, and the most profound is the true (and sometimes all consuming) joy I now experience when I sing.